Crane flies are flies in the family Tipulidae. They are insects. 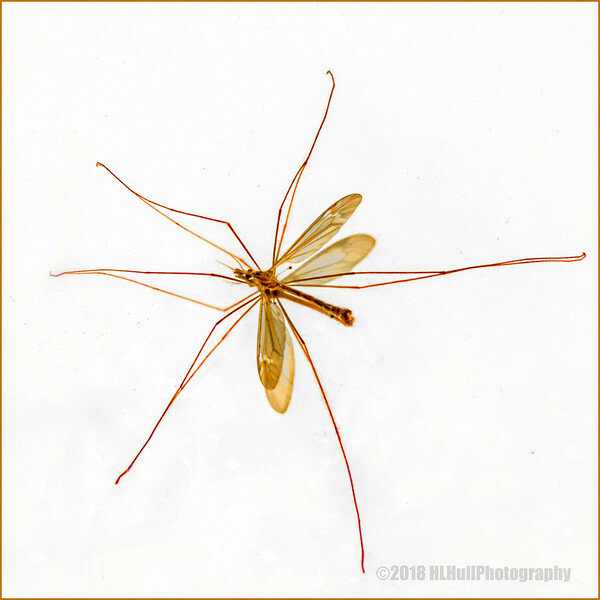 Crane flies look similar to large mosquitoes but, unlike mosquitoes, crane flies do not bite people or animals. Crane flies occasionally eat nectar. There are about 15,000 different species and 525 genera of crane flies. This means that the Tipulidae (crane flies) are the largest group of flies. Most crane fly species (75%) were found by Charles P. Alexander. This was "resting' on on top of our clothes dryer awhile back. Neat shot. There is almost a flower-like quality to the arrangement of appendages.